HOPE changes lives, one neighborhood at a time. 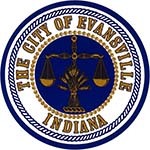 Located in the heart of Evansville's thriving center city neighborhoods, we exist for the purpose of coaching & empowering our neighbors to obtain and maintain safe and affordable housing. We do these things because we believe strong families create strong neighborhoods which results in a strong city. Over the past 50 years, HOPE has coached over 10,000 families resulting In new homeowners, stable renters and the prevention of mass foreclosure. During this time, HOPE has changed the character of Evansville neighborhoods by filling empty spaces with extensive affordable housing developments. In order to ensure the long-term success of our neighbors, HOPE empowers them by providing comprehensive financial literacy and down-payment assistance. To download a PDF of our entire strategic plan, click here.